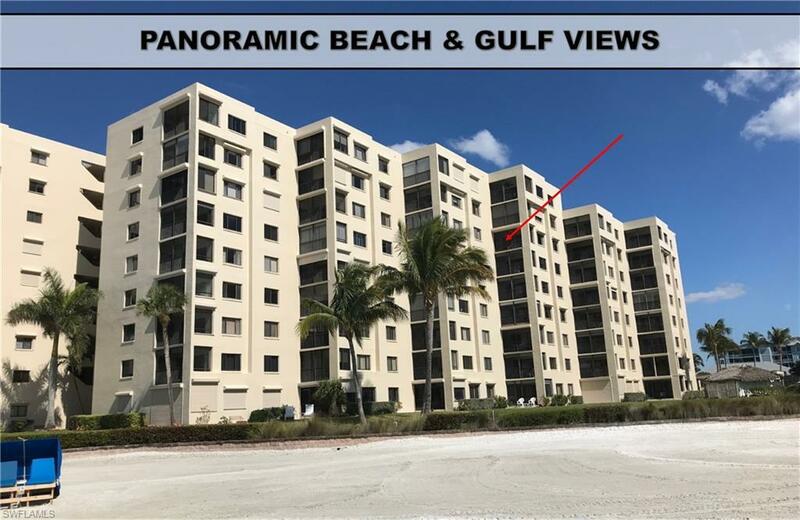 ON THE BEACH WITH PANORAMIC BEACH AND GULF VIEWS! DREAMING OF WALKS ON WHITE SAND WITH UNFORGETTABLE EVENING SUNSETS? Turn that dream into a REALITY! This SANDARAC II 7TH Floor 2BR/2Bth Great Room Plan Residence features a GORGEOUS REMODELED and OPEN Kitchen with Granite Tops, Breakfast Bar, Stainless Steel Appliances, Updated Cabinets, and Crown Molding Recessed Lighting, 2 Updated Baths with Granite Vanities, NEW A/C (2017), HARDWOOD BAMBOO FLOORS in living area, NEW CARPETS in Both Bedrooms, ELECTRIC SHUTTERS on ALL OUTSIDE WINDOWS & LANAI! Unit is Freshly Painted and Offered Turnkey Furnished (w/some exclusions) & a Covered Parking Space. 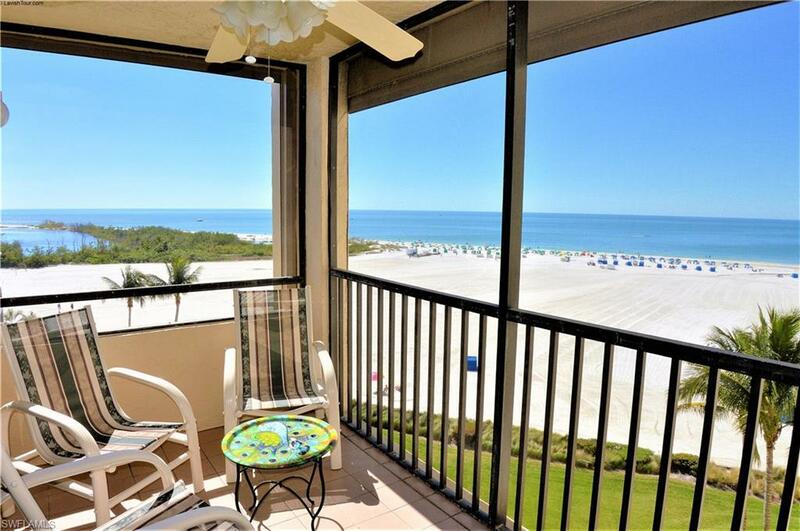 Sandarac B building offers a Lanai with Railing NO WALL OBSTRUCTION TO THE VIEW and a More sought After location! Looking for Investment? 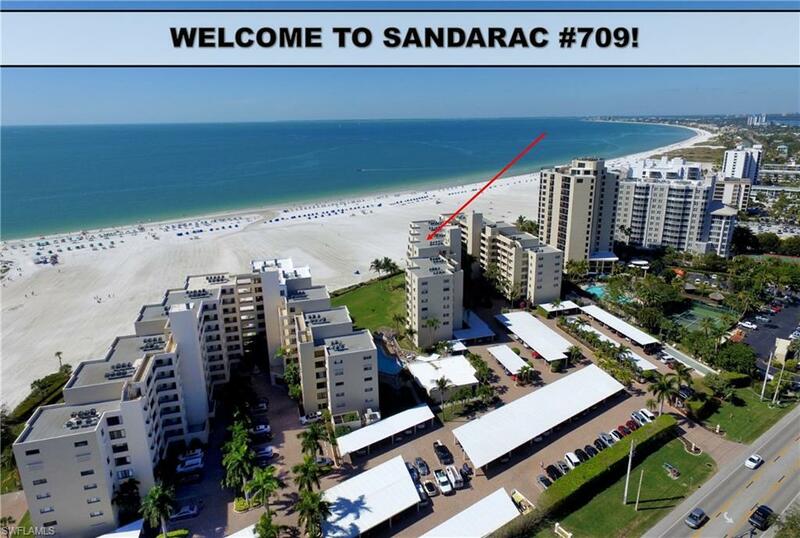 Your search ends here: Sandarac is in high demand for Seasonal Rentals! and as Added Bonus, you have gold seats to the Annual Sandcastle Competition as well as all other local events! 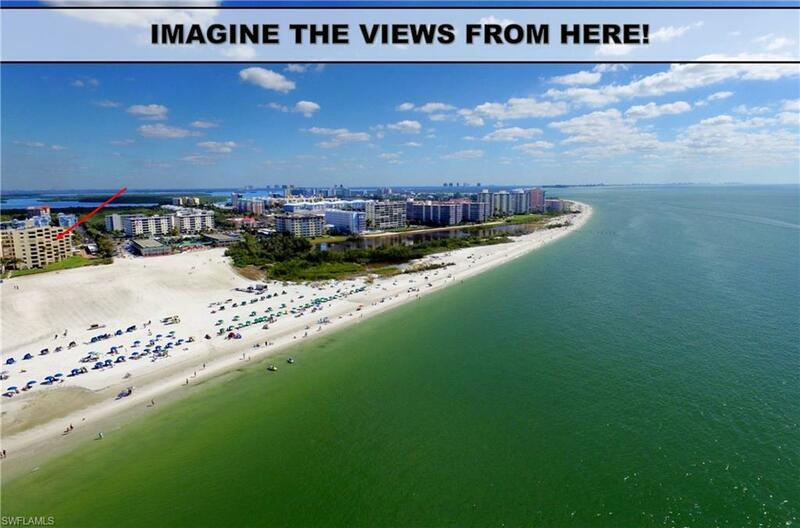 On desirable South end of Estero Island, quick exit to Bonita Springs, Estero, Naples & Airport! Walk to nearby Marina, Movie Theater, Casual & Fine Dining, Entertainment, Shopping, Farmers Market & more. Call today!